Stainless Steel Construction. Stainless Steel Dispensing Mechanism. Door Has Flat Face with protruding tumbler lock. 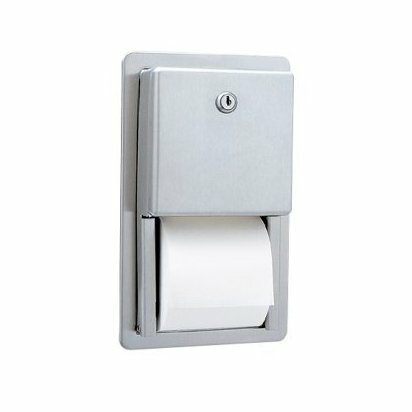 Holds two rolls up to 5-1/4-Inch diameter. Extra roll automatically drops in place when bottom roll is depleted.